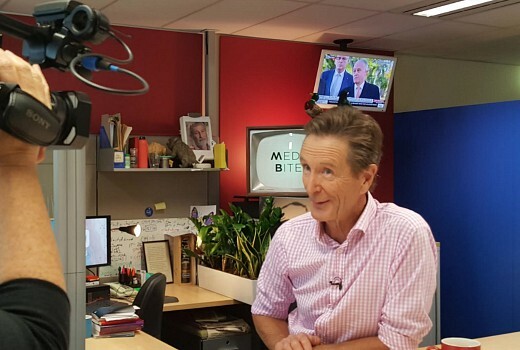 EXCLUSIVE: “If you do the job at Media Watch you don’t make a lot of friends,” admits host Paul Barry. As ABC’s resident media scrutineer, Barry knows all about making friends and influencing people…. or not, as he explains to TV Tonight. “I have occasionally had to have a go a people I consider my friends and it’s not a pleasant business. Most people recognise, or should recognise, it’s a job I have to do and I try to do it fairly, without fear or favour. “When I first started doing the job it used to give me sleepless nights, worrying about what people thought. But I worry very little about it nowadays. I’m much more thick-skinned and calm about the whole business. Criticising colleagues in the media, or indeed within the ABC, sometimes comes at a price which can be felt at ground zero. “We’re in a different part of the building to News & Current Affairs so we don’t see a massive amount of them naturally. But I meet people in the lift or the make-up room that I have recently had a go at. It’s uncomfortable,” Barry concedes. 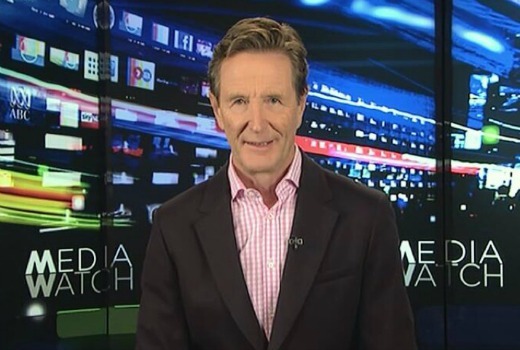 Barry returned to Media Watch in 2013, following a 2010 stint filling in for Jonathan Holmes. But his first hosting in 2000 ended with his dismissal after criticism of Jonathan Shier. “He was the managing director and he was wrecking the joint. There was a massive amount of very negative coverage about the ABC and a lot of changes that people didn’t like. At the end of the year we decided to interview him and ask him what he was doing but he wouldn’t come on,” Barry explains. “So I interviewed the Chairman, Donald McDonald, and I put it to him that as Chairman of the Board he had chosen this guy and when were they going to admit it was the wrong choice? They did admit it about six months later and sacked him. “But the Executives didn’t appreciate my giving the Chairman a hard time and didn’t renew my contract. The programme went off air for about a year, but there was a protest. I think ABC even went out on strike for a bit. Media Watch runs on its own auspices, separate from News & Current Affairs and ABC Publicity under Executive Producer Tim Latham. Barry acknowledges the support of David Anderson, ABC Director Entertainment & Specialist, even if not everybody within the building is a fan. When it comes to scrutinising ABC’s own content, Media Watch seeks comment from producers, publicity or corporate, just as it would for any other show. But the show has its own critics, notably in print and radio circles who regularly place the show in its cross-hairs. In addition to ongoing potshots at the public broadcaster’s expense, there are questions about Media Watch‘s volume, at a modest 16 minutes on air per week. Barry is having none of it. “You can apply that criticism to any show on television,” he argues. “60 Minutes is on for 43 minutes a week, probably with 5 times the staff we’ve got, and a budget that is probably 10 times ours. We have a pretty small budget and team of people who work hard to look at stories, some which we reject, and who work hard to make sure the stories we do are right. Weekly online commentary Media Bites launched in 2017, to tap into social media and younger viewers. Barry’s presenting style takes a light-hearted turn, which he swears is his doing and not producer-coerced. Funny props, hats and “dad jokes” are authentic Barry. So there. “I like it! I set the style. It’s really good to have a programme where you don’t have to be serious and you can take the piss out of stuff and show a different side. “People like it too. If they were complaining I’d pull it back,” he insists. “It does seem to be attracting a younger audience and washing over into the weekly show. But Media Bites owes a debt of gratitude to one of Barry’s former TV forays, Seven’s 1994 news-with-attitude The Times. It only lasted a year, but many deem it ahead of its time for fast-paced storytelling and using cheeky subtitles over its subjects. If attitude and determination come from somewhere Barry looks to his university days in the UK, prior to moving to Australia at the age of 35 in 1987. “I wanted to change the world so I worked in Politics for a year which I found very disillusioning. So I tried Journalism instead,” he recalls. When he isn’t consumed with effecting change or keeping the bastards honest, Barry enjoys watching Netflix and SBS on Demand dramas and political thrillers, citing such shows as Homeland, Babylon Berlin, The Wire and Collateral. “I don’t think Paul Whittaker or John Lehmann run the paper in the same way. It doesn’t mean to say they don’t occasionally or frequently attack the ABC or Media Watch. But I don’t feel like it’s a constant, running way like it used to be,” he observes. ABC News was recently criticised for editorialising in its reportage on former PM Tony Abbott, by that other media watchdog, the Australian Communications and Media Authority. Does that mean the ABC is subject to bias after all? “If you look at Twitter people are hacking into the ABC for being too far to the right and filling it with interviewees from the Institute of Public Affairs, compared to other think tanks and they say the ABC is just a tool of the Liberal government,” he says. “Then on the other hand you have a whole bunch of people criticising the ABC for being friends of the Greens and far too Left, obsessed with climate change and refugees. “I think it’s pretty good that we’re being criticised by both sides. Sure, occasionally we go off the straight and narrow and it tends to be more likely to the Left than to the Right. While critics may have succeeded in an inquiry into anti-competitiveness, and a freeze on funding caps, it may take more to nudge the man who once wanted to change the world from his chair. “I have no plans to give it up at the moment. Let’s put it that way. Maybe they will send me out in a box!” he laughs. Media Watch airs 9:18 Mondays on ABC. Media Bites is available Thursdays on iview, Facebook and Twitter. I agree – ABC can’t possibly find another 15 minutes in their schedule? Even if they did a 30 min version for iView like they do with the extended Gruen XL. Also I am loving Media Bites – often cringy & sometimes corny, but great. I know he denied it , but The humor Definitely feels forced on poor Paul, but I love it anyway. Very interesting interview. Thank you for bringing it to us David. Also loved the Media Bites clip…I was chuckling my head off….I don’t normally watch it…maybe I should. While MediaWatch certainly provides some valuable media scrutiny, I’ve always thought it an extremely half-arsed exercise. A scant fifteen minutes, and with only the most basic production values. It should be a 30-minute program, investigate media issues in considerably greater depth, feature guests relevant to the days’s issues and be a platform for debate about media issues. We get a 30-minute program devoted to advertising in Gruen, yet only 15-minutes on everything else the media does. BBC’s Radio 4 has had the half-hour Media Show for years. We deserve something similar.